As the Maintenance Engineer, Ricky is responsible for the preservation and care of the clubhouse. He is a native North Carolinian, born and raised in Raleigh. 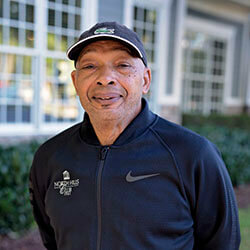 He is the longest-tenured employee at the Club, serving the members of North Hills Club for over thirty years. Ricky is the life and laughter of the Club, and the heartbeat behind all the operations here.